Something strange happened in May 2012. My friend and fellow History Girl Michelle Lovric told me she was going to miss a deadline. Now, she might not go as far as I have, in instructing her family to put “She met her Deadline” on her tombstone. But as an ex-journalist, packager of illustrated books and now a prolific writer of novels for adults and children, Michelle knew that I would be suitably shocked. I had read the first chapter of what was then known as “The Swiney Godivas” while staying with Michelle in Venice the previous August and was intrigued to know how it was developing into a full scale Victorian novel. 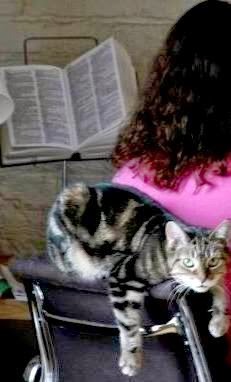 For entirely non-literary reasons – which can happen to any of us – Michelle was struggling to finish her novel in time for her July deadline. It is interesting to note that, being primary carers, women writers are especially prone to the non-literary distractions of domestic responsibilities, illness and the other traditional nurturing roles. Well, I did what all writer friends do – offered to read the combustible manuscript. (And to be fair, I was very curious to know how it had turned out). So a spiral-bound typescript arrived in the post and I was plunged back into the world of what is now called The True & Splendid History of the Harristown Sisters. It’s a hardback book that can – and should – now be read by everyone, as it’s published this week. But back then it was just a bound heap of printed A4 pages. What a privilege it is to know writers, as well as to be one! It gives you this rare opportunity to appreciate and even influence a book before it is published. I was soon scrawling in pencil all over the margins – did you know I am an editor manquée? – But mainly with questions, since what all writers need at this stage is “the innocent eye.” I had to pretend that I had never met Darcy, Berenice and Enda, Manticory, Pertilly, Oona and Ida. Particularly Manticory, the middle one of the seven Swiney sisters from Harristown in Ireland, who narrates the whole of their remarkable History. It is Michelle’s fifth adult novel since 2001 (There have also been four full-length children’s books) and this one focuses on hair. Her last adult novel was the acclaimed Book of Human Skin, which was the most popular among the judges of the Channel Four Book Club choices in 2011. I had read that last novel, peeping between my fingers, since it had its gruesome moments and Harristown has its dark aspects too. Hair has been an obsession for many people and it reached a peak in the nineteenth century when the novel is set. The Swiney sisters have it in abundance and in a range of colours but it is the only rich bounty in the home they share with their mother Annora, which is otherwise dirt-poor. They make their own fortune through their singing and the sensuous display, at the climax of their performances, of their massed tresses. (You can learn more about the settings and the plot, which goes through many convolutions, when Michelle writes her own post about how she researched in Ireland, on 10th June). But, having been so involved in those convolutions, I wanted to interview her here about the conception and birth of this unusual novel. First of all, did you feel that I was too severe an editor? All writers should be grateful for excoriating criticism prior to publication! Anything that allows you to refine the work before it comes out – well, that’s a gift. It is one of the reasons why a traditional trade publishing route is still the preferred option for most of us History Girls, I suspect. 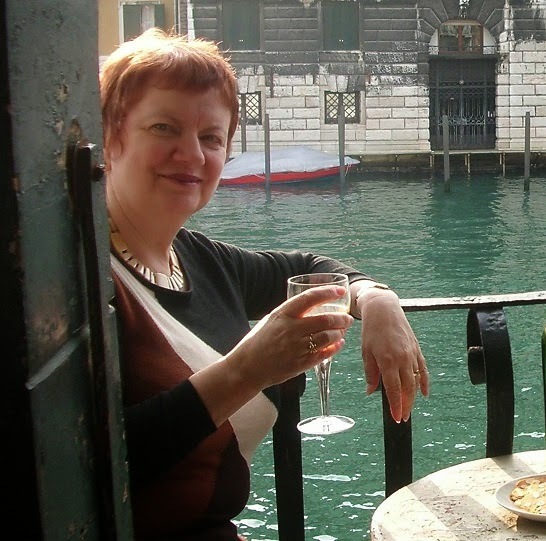 If published traditionally, the writer has the attention of a skilled, acute editor – in my case the wonderful Helen Garnons-Williams at Bloomsbury. But my book was in trouble long before it reached Helen’s desk. In fact, I didn’t know if it would reach her desk at all. And that’s where you stepped in. I’ll always be hugely grateful to you for what you scribbled on my troubled manuscript. Writing comes from the same place as living. In spring 2012, my head was full of nothing but screaming static. I had channeled raw words and events straight into the book, unfiltered. Truth is stranger than fiction but it is also cruder, less satisfactory, less fair, and makes less sense, quite often. The truth simply isn’t good enough for fiction. For my own sake, I was beginning to realize that there was only danger in recording things that I hadn’t wanted to live. And the worst crime: it makes for terrible writing. So one thing that had happened to me by May 2012 was that in the midst of my non-literary traumas, I had somehow lost my literary moral compass. And the first thing that you pointed out, so rightly, was that, in the draft you saw, I had killed the wrong sister at the climax of the book! I was seeing everything through a glass darkly, but you helped me to see that my Harristown Sisters could eventually save themselves by their own actions and that the survivors deserved to be happy. I didn't know I'd been excoriating! But I did know that good characters had triumphed over disaster in your earlier novels and I felt that at least one Harristown sister deserved to as well. By that time, I’d also lost confidence in my future as a writer, which was reflected in a limp ending that trailed away dismally. You suggested some ways to acknowledge the Harristown Sisters’ tragedy and to move on, while acknowledging their past. Without those scribbles of yours, I doubt if the book would ever have been publishable, as no one likes a relentless downward spiral. Every reader seeks a little vicarious redemption, a little satisfaction when an evildoer gets his or her just deserts. So no, I did not feel you interfered, any more than a surgeon interferes with a patient’s body when she skilfully removes a tumour. After I read your comments, suddenly the book found its will to live, and I sparked off your suggestions and found surprises of my own when I looked into the questions you had raised. The Harristown Sisters gradually became a different, better book. Now I am biting my nails to see if other people think so too. I was also grateful for your company. While we were nursing the book back to health, we were able to have a lot of face-to-face conversations, and those were as nourishing as the written word. I had the opportunity to argue my case, and that gave me renewed confidence because I found my characters still had things to say for themselves. They came out of their shells and began to prance about in my imagination again. As I’ve said, I’ll always be grateful, and so will the Harristown Sisters. And as you say, it is a fine thing to be a writer and have writer friends, in whom I am blessed in quality and quantity. So I also had invaluable and generous advice from Sarah Salway, Carol DeVaughn, Tamara MacFarlane, Jill Foulston and Louise Berridge, of this parish. Louise particularly helped me remove some of the bitter gristle and restore the sweetness. The ms also had expert pronto soccorso from Lucy Coats, with whom I teach the Guardian Masterclasses on How to Write For Children. You were inspired by the American Sutherland Sisters, who had 37 feet of hair between them. But you chose not to write a novelized version of their lives. Can you explain a little about the real long-haired sisters, and why you decided to create your own Irish characters and set the story in Ireland and Venice? Sarah, Victoria, Isabella, Grace, Naomi, Dora and Mary Sutherland were an all-American phenomenon of the late 19th century. Nature gave them phenomenally long hair. 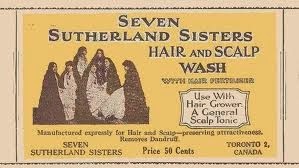 Bad luck left them poor and motherless but with a father eager to exploit them, peddling a quack hair preparation heavily marketed on images of “The Seven Sutherland Sisters”. To support sales, the girls were put on the road with the Barnum circus. They sang and danced a little. But the climax of their act was the moment when they turned their backs on the audience and let loose their hair, which tumbled to the ground. They were house-hold names in the USA, and made millions, and spent millions in an eccentric and lavish lifestyle. Their fortune collapsed when the fashion for bobbed hair came in. They lost everything, including the grotesque Gothic mansion they’d built. And even their archives were destroyed in a fire. They died in obscurity. If anything, despite the fire, the Sutherland Sisters were too well documented, too editorialized, and too compartmentalized already to be of direct interest to a novelist. They had been ‘discovered’ by two American journalists Clarence O Lewis and Arch Merrill in the fifties. Both wrote excellent accounts of the sisters, albeit short ones. There were elements I wanted to use – particularly the hair-fall, the madness of the younger sister, and a suspected love rivalry between two sisters. But I definitely wanted to write a novel to which the Sutherland Sisters’ lives gave credibility – not a novel about them. 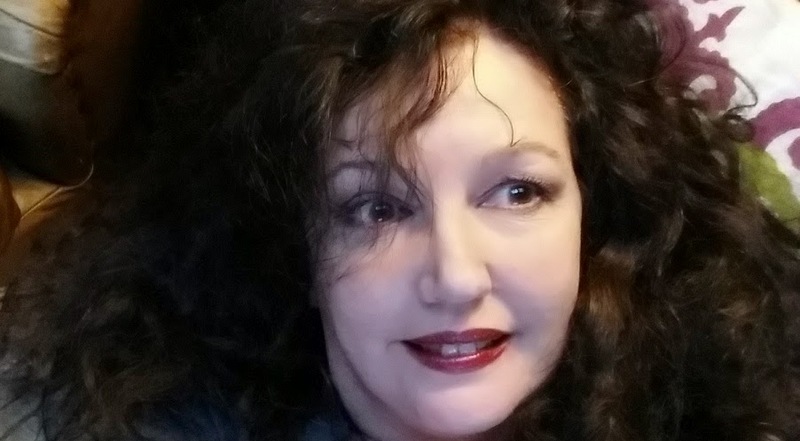 My other reason for going my own way was to do with my concurrent study of long hair, which focused on the Pre-Raphaelite painters and their poet equivalents. 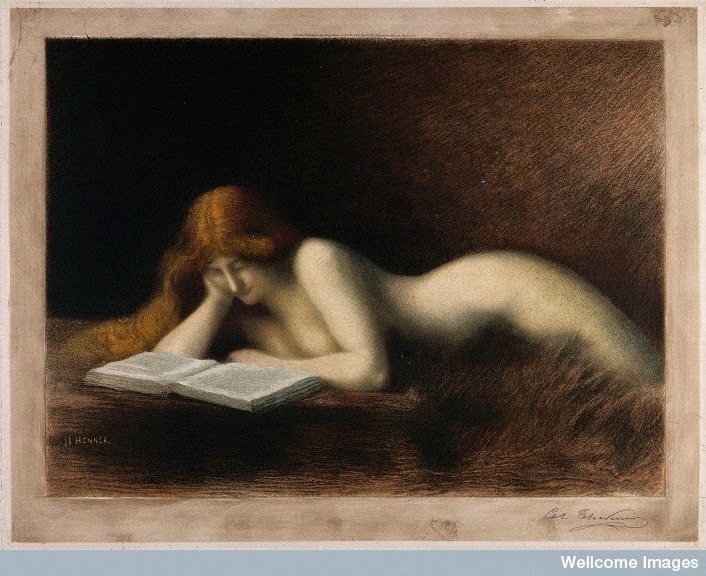 The concept of vigorous female hair as an explicit sexual marker was a European one. 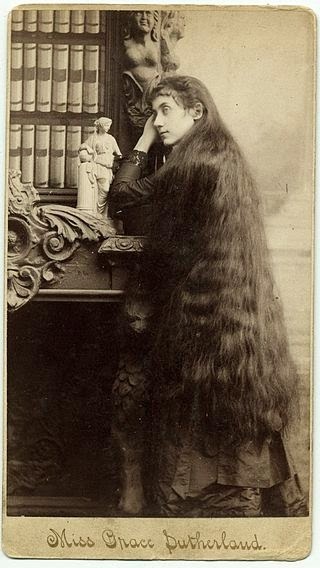 European writers and artists developed the ideas of hair as a tent to protect men, as a noose to strangle them, as an object of fetishism, as a way in which women wove stories. I needed my sisters fused to the culture of those ideas. In order to emphasize the raggedness of the rags-to-riches story, I began my story in Ireland of the famine, with a poor Catholic family scratching out a life on the estate of rich Church of Ireland (Anglican) landlords. Harristown in County Kildare provided exactly what I wanted. I had a fondness for the place as my late cat Rose la Touche of Harristown was named after the most famous inhabitant of the estate. The Original Rose La Touche was the girl obsessively loved by John Ruskin. She died tragically young and is now buried by Harristown’s Carnalway church. I also liked ‘Harristown’ for its grittiness as a word. So many Irish villages boast romantic names. But there was nothing romantic in the beginnings of my Irish sisters. The second half of the book has a Venetian setting. Venice is a constant in my novels, as in my life. I was also interested in textures there … hair, stone, water. Venice provided me with the most unusual murder weapon I’ve ever deployed. 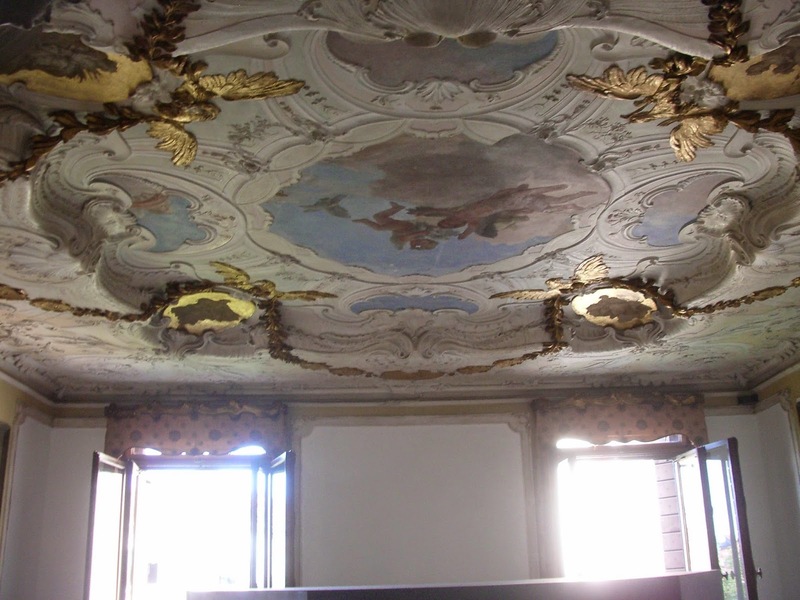 And the Palazzo Papadopoli gave me rooms with frescoes I could use as part of the story. It was much more of a creative challenge to find names to express the characters of my sisters, who are not, after all, American girls. After much research on Irish websites, I chose the name ‘Swiney’ because I wanted a flavour of the barnyard, which, incidentally, is present in the whiff of the best champagne. Darcy Swiney has jet black hair. Darcy means dark in Irish. 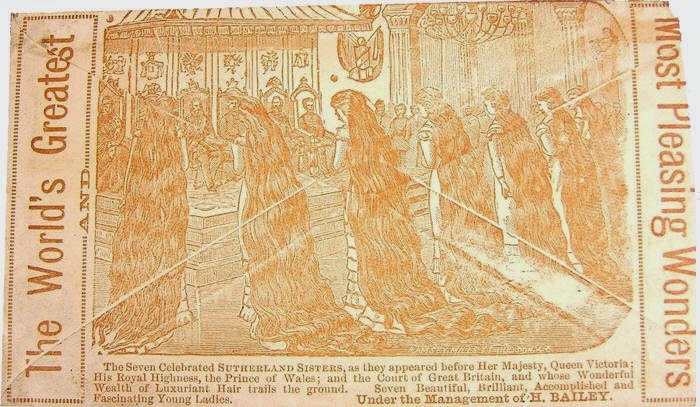 Berenice, in legend, lined a temple with her hair. Enda was a sixth-century Aran Islands monk. But in my mind ‘Enda’ was always short for Delenda, as in "Delenda est Carthago", or "Carthage must be destroyed". Cato the Elder uttered these words in 157 B.C. And there is nothing that Berenice Swiney wants to do more than destroy her twin Enda Swiney. Manticory is my red haired protagonist. It's a variant of Manticore, one of the fierce creatures in Medieval bestiaries; it takes Manticory a while to act on her fierceness. Pertilly – is the wild card. I simply made it up as I liked the flow of the syllables. Ida means "thirst" as in "thirst for knowledge." My Ida is the kind of idiot-savant of the family. She knows things through her senses and her intuition. The True & Splendid History of the Harristown Sisters is published on June 5th by Bloomsbury. Labels: Mary Hoffman, Michelle Lovric, The True and Splendid History of the Harristown Sisters. Fascinating - thank you both for sharing this - congratulations and hugs to be applied in equal measure! Congratulations Michelle, not only for publication day but also for speaking candidly about the rocky road, detours and blind alleys any writer may encounter. What a wonderful post....great to get two of you for the price of one! All good fortune to the book. And of corse to to you, author and excoriating editor! As someone who's read both early and finished versions of the Harristown sisters' story, I can tell you that I think this is a book which, although it has had a long and hard journey, is probably the best thing Michelle has ever written. I urge you all to read it, because it's bloody brilliant! This is a wonderful, honest post, which I think will help many writers who might be struggling with this kind of problem. Thanks to both of you. Fascinating to read about the evolution of your book, which sounds riveting. Very much looking forward to it. And (man comment)though the difficulty of the birth is important, it will have no effect on the health of this bouncing child. I think I also need a Mary Hoffman in my writing life! Great good luck with the book, Michelle. It sounds riveting. Fascinating subject - and thank you for sharing the experience of working together. A tough, sympathetic critique partner is worth her weight in gold! Congratulations. Congratulations Michelle! 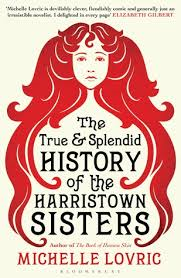 As a big fan of your children's books I can't wait to read about the hirsute Harristown sisters! I'm sure it was worth all the angst and ups and downs during its creation too. Looks like you don't have a problem with your own luscious locks either . . .
Everyone needs a Mary Hoffman in their writing life, and perhaps in their non-writing life too. Thank you all for the hugs and the empathy. The warmth is palpable. As I just said to my editor, I run with an excellent tribe of women. I can tell you that I think this is a book which, although it has had a long and hard journey, is probably the best thing Michelle has ever written. I urge you all to read it, because it's bloody brilliant!